Air travel is a necessity, but it can also be a headache. Having a plan for ground transportation is always a good idea, and a Limo Service Houston TX is the way to go. We supply efficient, dependable, and stylish transportation to facilitate your successful and comfortable flight. Houston Airport transportation offers more than just a ride. While we do, in fact, deliver point A to point B transportation, this ride is not unpredictable or unreliable. When you schedule us, you can count on us. Your pickup is assured, and you’ll get curb to curb prompt delivery. Our rides are inspected for potential problems on a regular basis, deeply cleaned between each and every service, and comprehensively insured. You’ll enjoy a variety of options from which you can choose, and we can easily accommodate any number of passengers or preference of style. The driver getting you to the airport must also be reliable. Book Houston Limousine Service, and you’ll find that our chauffeurs are well-trained, experienced, and committed to your ride. We require drug testing and background checks, but we also prioritize professional behavior and courtesy. When our drivers succeed, you succeed. Reserve our service, and you’ll not miss your flight again. While we provide rides to catch a flight, Best Limo Service in Houston is also key. Whether you’re a local, business traveler, or tourist, a luxurious ride from the airport will rescue from having to deal with cabs or rentals. Instead of holding your nose and suffering through a cab or enduring the hassle of driving a rental, book our Houston Limousine Rental service, and you’ll find a refuge from chaos awaiting your arrival. We monitor flights in real time, so we’ll be there accordingly. You can choose whether we await you inside or outside of the airport, and you can expect to be treated like a dignitary when you choose our Affordable Limo Service Houston. Customer service makes sure that your ride is perfect. Whether you need to make adjustments to your service, request specific amenities, or request resolution for an issue, our customer support staff is available at all times. You’ll find satisfaction and accommodation from our empowered and considerate customer service staff because their directive is to provide personalized service to each and every client. Ride with us and discover what customization is. You can book an airport limo service in Houston easier than you can locate a cab. Hop online, make your booking, and we’ll be awaiting you at the time and place specified. You can expect convenient service whether you book months or minutes in advance, and we provide immediate billing upon reservation. You might be surprised by our affordability, but you won’t experience sticker shock. Enjoy the astonishment of the luxury versus the reasonable price when you book airport transportation! When you need a dependable Houston limousine rental service, Nationwide Chauffeured Services is there on time every time. Unlike many other Houston limo services, we believe in giving every customer the best possible service. 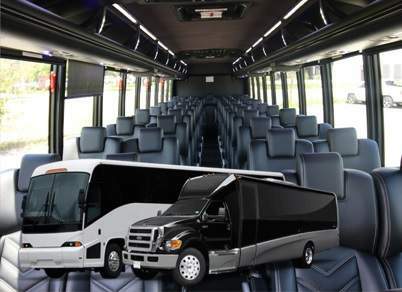 We are available for large groups or individuals who just need a safe and luxurious ride to their destination. Our customers say that they love our attention to detail and personalized service is a key component at Nationwide Chauffeured Services. Rent A Limo Houston. 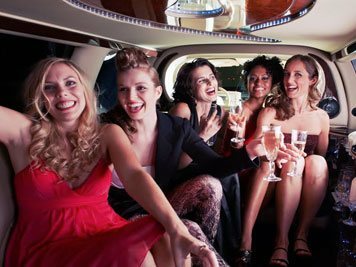 Our Houston Limo Rentals company is well prepared to handle groups of any size, so if you’re planning an extravagant party please call us. We can accommodate last-minute changes and short notice availability as well. We have vehicles especially designed for larger parties such as a bachelorette party, wedding party, or birthday party. With online reservation, it’s easy to plan your event but please let us know if you require special amenities. We are fully prepared to handle special corporate groups and this is one area where we’ve obtained an exceptional reputation. We understand the pressures of modern day business and we know that you need reliable. luxury transportation for your group. That’s why we go the extra mile to service your corporate group in the most professional manner. Our Reliable Limo Service Houston drivers are dressed well and always arrive on time. We do regular background checks and drug tests to ensure that you have an outstanding experience when traveling with us. If you’re traveling to or from the airport, our Houston Limousine Service drivers will monitor flight times so that you’re never late. We’re serious about good service and value our professional reputation. Our affordable Houston limo services will get you where you want to go on time and in a luxury automobile. Nationwide is fully licensed, bonded and insured and we’re wholly committed to excellence.